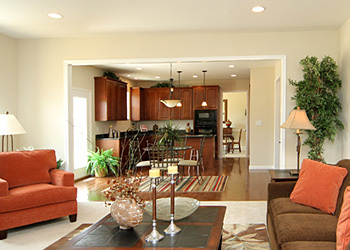 The foundation of the K Homes Difference is quality construction. As a privately-owned company, we believe the money you invest when building a home should go into the home itself – and your comfort and energy savings for years to come. Because of that, upgraded features come standard in our new homes, along with top-of-the-line and brand-name products that, through our years of experience, have proven their superior performance. Click on each item below to learn more about its advantages, compared to conventional methods and materials used in new-home construction. Thicker foundation walls provide greater support than the 8-inch walls typically installed, reducing the risk of cracks and water leaks. To prevent unattractive cracking of the concrete floor in the garage, the concrete slab has to have a solid support under it. With this goal in mind, K Homes goes beyond the usual by installing an interlocking mechanism around the perimeter of the garage as well as pouring two to three 24″x24″ concrete support piers in the middle. 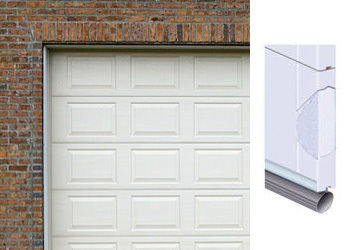 The interlocking mechanism around the perimeter provides a solid support where garage slab meets the foundation wall, and the 24″ piers serve this purpose in the center of the garage. In addition, the whole garage is filled with pea gravel—a non-settling material—to provide rigid support everywhere else. 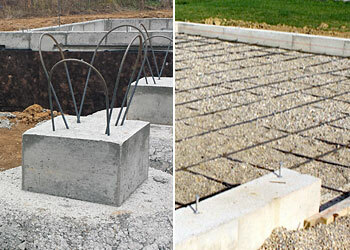 Drain tile around the foundation acts as a piping system to collect and redirect the subsurface water that moves down into and through soil. 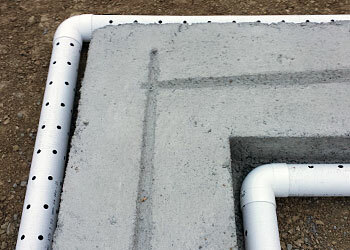 Drain tile that is placed around a foundation is four-inches in diameter and the drain tile pipe is perforated. At K Homes we use triple wall polyethylene pipe that has rows of holes rather than tiny slits. The large holes allows for easy water entry and small grains of sand or rock will not clog the openings. In addition, this corrugated perforated pipe is less likely to get crushed during the foundation phase of construction thus insuring a proper function for years to come. We use Overhead Door’s 390 Series door, which incorporates a thick layer of polystyrene insulation between two panels of galvanized steel – providing security and R-13 insulation level. Insulated garage walls combined with the steel-backed insulated garage door makes for a much more comfortable space during most winter months. In addition, depending on the design of the house, it helps maintain a consistent temperature in the spaces located above the garage. 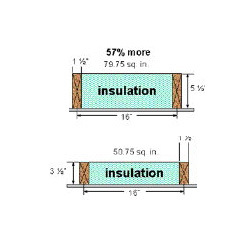 An important component of a super-insulated shell, this thicker wall allows us to install more insulation than 2×4 construction–57 percent more than is required by Ohio Building Code. This method eliminates unnecessary framing members, which further increases the thermal resistance of the building envelope. Increasing the joist’s depth takes out most of a floor frame’s deflection under presumed dead (the weight of the structure) and live (furniture and foot traffic) loads. 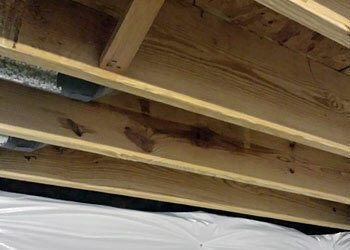 With the deeper 2 x 12 floor joist we get a 50% improvement in the floor’s deflection ratio. 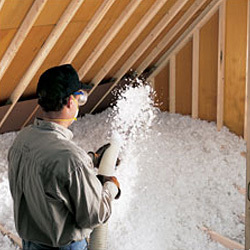 This Formaldehyde-free fiber glass insulation offers superior thermal and acoustical performance and it improves indoor air quality because it’s made without formaldehyde. 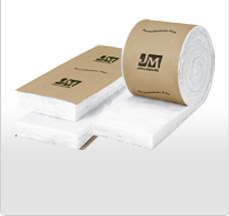 In addition, this Kraft-Faced insulation resists water vapor transmission, thus offering advanced moisture control. 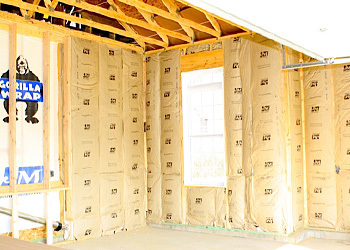 This blown-in glass insulation is a premium alternative to cellulose that covers hard-to-reach areas like corners, edges and around framing. It won’t settle, decay or provide food for animals or microbes, remaining effective for the life of your home. While tar is often used to protect foundation walls from water and moisture, this advanced waterproofing system includes a membrane that seals the foundation from water, even if cracks develop, while remaining elastic to accommodate freeze and thaw cycles. 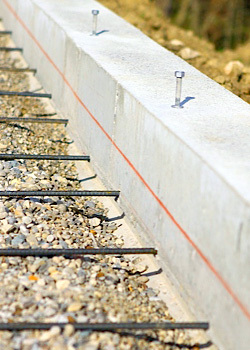 The second component is the quality foundation protection panel. This overlaying drain tile captures water and keeps the dew point on the exterior side of the foundation wall. 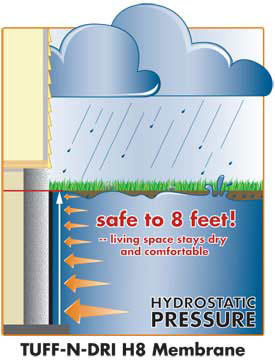 This relieves hydrostatic pressure, which contributes to cracking, keeps the basement drier and provides an R-5 insulation layer that contributes to the home’s super-insulated shell. The Evolution Connex with wi-fi connectivity puts comfort control at your fingertips. 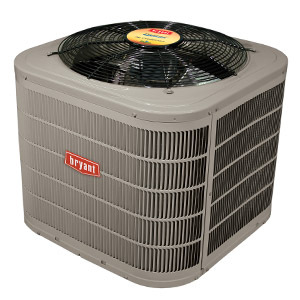 Capable of managing a complete home comfort system including humidity, ventilation and zoning, it’s also the brains behind Bryant’s highest-efficiency Evolution products. 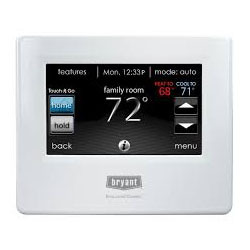 The user-friendly touch screen is packed with energy-management features. The Bryant 986T furnace (with Perfect Heat technology and up to 96.5% AFUE efficiency) is the perfect way to indulge your senses in consistently warm and impeccably controlled comfort all winter long. 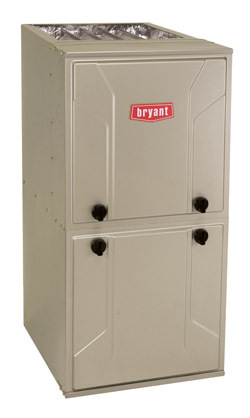 The variable-speed furnace also provides welcome relief from hot, sticky summer humidity. This 14 SEER, high-efficiency single-stage air conditioner provides efficient operation while delivering reliable whole-home comfort. Due to its quiet operation, you can enjoy the comfort in peace. While most homes have one or more supply registers in each room, they often have just one or two return registers in the entire home, usually located in hallways. This can create pressure problems throughout the home, increasing the risk of exhaust gases backdrafting into the home and causing the HVAC system to work harder. Our homes come standard with ducted returns in every room. 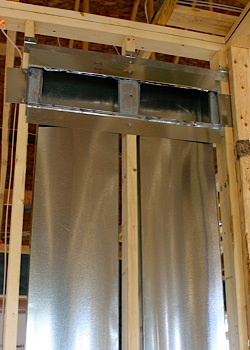 Delivering air back to the furnace via a duct, rather than a wall cavity, maximizes the return of air and the efficiency of the system. High ceilings give the house an open and airy feeling inside. Outside, the house stands taller with greater curb appeal. Combined with our homes’ 9-foot ceilings, the maple, oak or laminate cabinetry from Merillat provides ample storage and a spacious feel. 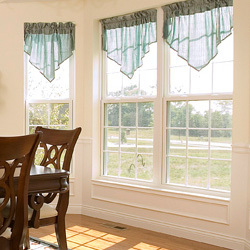 Energy-efficient double-pane windows from Simonton feature a low-E coating and argon gas between the panes, providing lower utility bills and increased comfort. 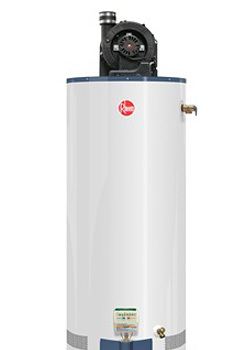 A water heater from Rheem’s Professional line delivers a lower operating cost, an automatic shut-off if flammable vapors are detected, a porcelain enamel tank lining for durability and up to a 12-year warranty. 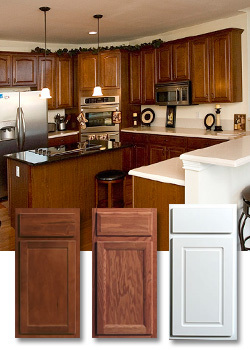 These are just a few of the quality standards that make our homes a smart investment. If you have any questions, please contact us via the blog page or email to receive a personal reply.